Zlatan Ibrahimovic’s luxury villa in Malmö is currently up for sale. Zlatan Ibrahimovic and Helena Seger no longer has any time to stay in the house and wants to sell. 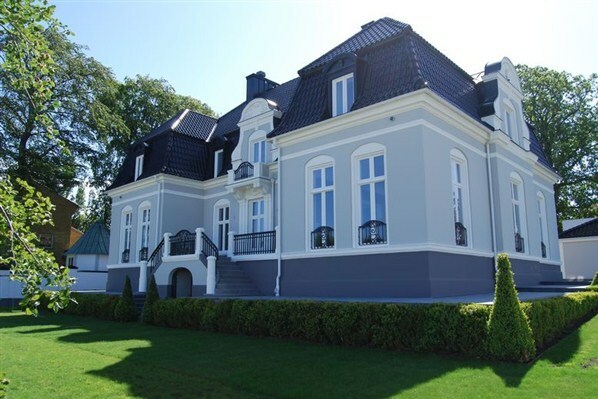 The luxury villa was bought in 2007 for 30 million swedish crowns (roughly 3 million Euro), ten million more than the previous record for private villas in the city of Malmö. The previous owner bought the house in 2003 for eight million. He did not have a particularly long period of consideration when Zlatan and Helena knocked on the door and offered almost four times the price. Zlatan and Helena Seger then did an extensive renovation with the excavation of a lower floor, new garage, swimming pool and a complete upgrade of the home’s interior, said to have cost as much as the villa itself did. The house is 836 square meters, has three large lounges, private TV room, five bedrooms, Italian kitchen and a SPA. The garage has space for four cars. It would be hard for Zlatan and Helena to get back the money they spent at a potential sale. – Though it’s my belief it will be sold for more than he bought it for, says realtor Jan Lundqvist who is entrusted to sell the super villa. The broker has personally met Zlatan before the sale and have clear rules of conduct at work. So for example, he is not allowed to show interior photos of the house out of respect for both current and future owners. The speculators who express a serious interest in the property will also have their finances audited by the broker. The broker has through his contacts in both France and Italy put out hooks in many places. Realtor Jan Lundqvist can not say today when a possible deal can be concluded. – These kinds of objects are living their own lives. Sellers can afford to wait for the right buyer, and therefore it is impossible to say how long a sale will take. This entry was posted in Facts, Helena Seger, Interviews on April 25, 2013 by Johan Bengtsson.